If you’re thinking about purchasing a house in the near future and don’t have the cash to plunk down for it, it can be tough to know where to begin when shopping for a mortgage. Learning to navigate the world of mortgage lending is a daunting task to face, and it can get overwhelming in a hurry. Your home is likely to be the largest purchase you’ll make in your lifetime, and your mortgage will probably be the biggest amount you will ever need to finance, so you’ll definitely want to do some research ahead of time. But where do you start? There are so many questions to ask: How can I get the best interest rate? Will I have to pay PMI? What if I don’t have a huge down payment? What type of mortgage is best for me? As with any large purchase, it’s best to educate yourself about your mortgage options before you even consider house shopping. If you arm yourself with a basic knowledge of the many mortgage options out there before you make an appointment with your loan officer, the process will go smoothly and you won’t walk away feeling overwhelmed. Our friends at First Mortgage Manchester gave us some tips, so consider this your crash course in mortgage lending. Let’s start with the basics. There are many types of mortgages out there, but the most common mortgages are broken down into two types — conventional and government loans. Conventional mortgages simply house basic conforming loans, while government loans are broken down into three different categories (FHA, VA, and USDA/RD), and are insured by the government. Each of these types are great options, but the best one for you depends on your individual financial status, your credit score, the amount of your down payment, and whether or not your situation will require mortgage insurance. Conventional mortgage loans are one of the best options if you can qualify for one. Currently, a borrower can put as little as 3% down on a conventional loan, but to avoid paying private mortgage insurance (PMI), you’ll need to put at least 20% down. Conventional mortgages typically boast low interest rates across the board because borrowers who qualify for these mortgages need higher credit scores, which results in less risk for the lender. A conventional loan is hands-down typically the best option for most borrowers, provided you qualify. If you don’t qualify for a conventional mortgage, then consider a government-backed mortgage such as a VA, USDA/RD, or FHA loan. We’ll go through each of these loans now. VA mortgages are only offered to veterans and spouses of deceased veterans. If you fall under that umbrella, then a VA loan is a great option, especially if you don’t have perfect credit. A borrower can finance 100% of the purchase price of the home, so it’s a great option if you don’t have any funds set aside for a down payment. While that percentage may seem a little steep, the funding fee is able to be financed into your loan as well, so there’s no money out-of-pocket for that specific fee. The good news about VA mortgages is that there’s no monthly mortgage insurance premium tacked onto your monthly payment, which entices a great number of VA-eligible borrowers. If you aren’t a veteran and don’t have a down payment, you may want to see if you qualify for a USDA or Rural Development (RD) loan. These government-backed loans have property restrictions which require the borrower to buy a home in certain locations outside of major cities, thus the name Rural Development. For more information, you can look at this map on USDA’s website that gives specific information on where you can and can’t buy property. There’s even an option to plug in an exact address to find out if your property is eligible or not. RD loans also have an income limit, or a maximum household income level threshold that a borrower must pass before being determined as eligible. The lender will be required to document any and all household wage earners that will be living in the home, even if they’re not going to be on the mortgage note. The maximum household level is determined by the area you live in and the number of people in your household. Like a VA mortgage, a borrower who is eligible for a RD loan can finance 100% of the purchase price of the home if needed. There’s also a required upfront USDA guarantee fee of 2.0% that can be rolled into the loan amount, as well as monthly mortgage insurance. The monthly mortgage insurance cost is comparatively low at 0.4% of the loan amount. In years past, FHA mortgages were the way to go if you didn’t have a hefty down payment or a great credit score. With FHA, you can put down as little as 3.5% as a down payment, but the monthly mortgage insurance (MI) is steep at 0.85% for a 30 year mortgage, and that fee currently remains on your payment for the entire loan term, unlike the other loan options where the PMI drops off after a certain period of time. The only way out of MI with an FHA loan is to refinance, which results in additional closing costs down the road. This change has made FHA loans not as desirable in recent years for many borrowers, but it’s still an option if your credit score is lower than the requirements for a conventional loan. Similar to RD and VA loans, there’s also an upfront mortgage insurance fee of 1.75% of the loan amount, which can be financed into the loan rather than paid out of pocket in closing costs. Once you’ve decided which loan is best suited for your needs, you’ll want to decide if you want an adjustable rate mortgage (ARM) or a fixed rate mortgage. Many people today are scared of ARMs, and with good reason. When the housing bubble crashed a few years ago, a large part of it was due to subprime mortgage loans (mostly ARMs) adjusting. Many borrowers were qualified on ARMs with enticing low rates, but those rates inevitably adjusted so high that borrowers quickly struggled to keep up with their much higher mortgage payments, and many were forced into foreclosure. While lenders today are much more cautious about the borrowers they allow to finance with an ARM, if you opt for an ARM, you’ll continue to take a risk because it will adjust eventually. Your only way out is to sell your home, refinance to a fixed rate down the road, or pay off your mortgage, none of which are guaranteed options. This makes a lot of borrowers leery or ARMs, and rightfully so. ARMs are typically only advisable if you don’t plan on owning your home for a long period of time, but they’ll always remain risky. With rates continuing to fall in historic low patterns, an ARM isn’t a great choice for the majority of borrowers today. Fixed rate mortgages are the most common and safe choice for borrowers today. Once you give your loan officer the go ahead to lock in your rate on a fixed rate mortgage, that’s the rate you’ll have until your loan is paid off. If you have a great low rate and never choose to refinance, you will always have the comfort of keeping the same principle and interest payment which allows you to plan your budget around that today, as well as 10 years down the road. 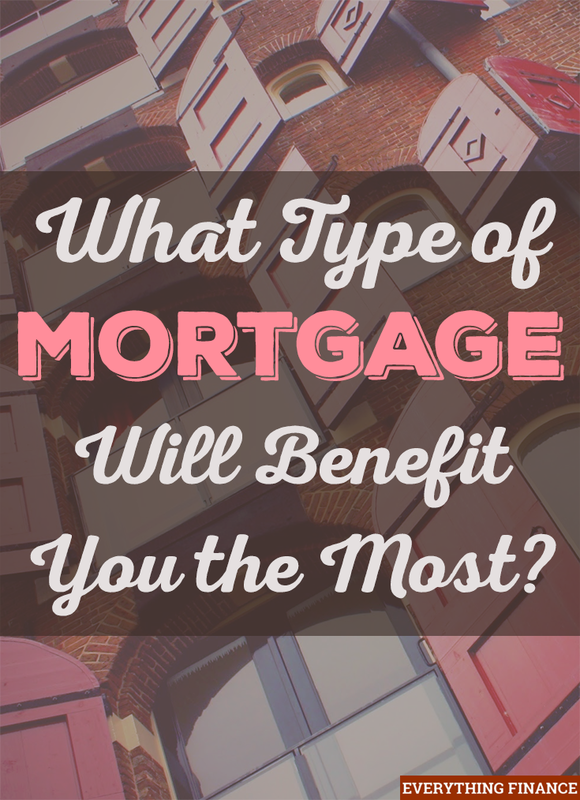 What’s the Best Mortgage Loan For You? In short, if you have great credit and at minimum, a 3% down payment, a conventional mortgage will typically be your best option due to its low rates and affordable PMI. If your credit isn’t top notch or you don’t have a sizable down payment for your home, determine if you’re eligible for a VA or USDA loan. If none of those options work for you, try FHA as a last resort. If you don’t qualify for any of these options, but still want to purchase a home, you may have to wait while you fix your credit or save for a down payment for a traditional financing. In rare instances, you may be able to convince the sellers of the property you want a lease purchase option where you sign a contract to rent or lease the property for a year or two, after which time you would move forward with traditional financing for your home. This option allows borrowers to hold onto the house they want while working on their credit score or down payment. However, it’s not a guarantee for future traditional financing approval. Once you determine which loan is best for you, make an appointment with a loan officer to get qualified and have your credit pulled. Your loan officer will know you’ve done your research when you walk in with the basic information about the type of loan you want. Once you get the go ahead from your loan officer, you can start looking for a Realtor, and that’s when the fun really begins.